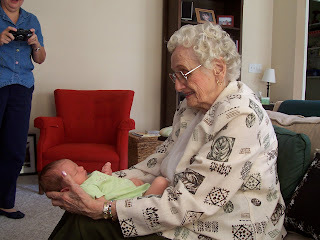 On Friday, Cadence enjoyed a visit with her Great-Grandma. 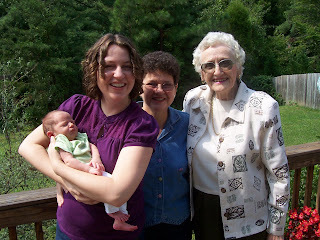 She loved sleeping in Grandma's lap, and we got a great picture of 4 generations. The picture of the four generations is one which you should cherish. 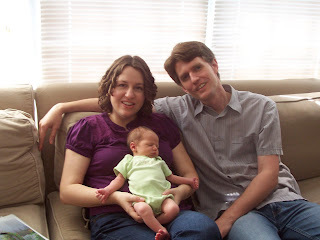 Cadence is blessed with a godly mother, grandmother, and greatgrandmother. That was a lovely day. I am so glad I was able to be there and see Greatgrandma with Cadence too.